Water resistant pigment ink, which is water and fade resistant. Valve action nib for greater ink flow control. High opacity pigment ink enabling colour to be applied on colour. 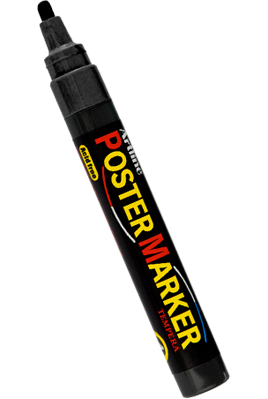 Will mark on plastic, foam, wood, glass, rubber, paper, any metal or painted surface. Available in a variety of colours and nib sizes from 4.0mm to 30.0mm. Acid free. Xylene free.